Wearable technology has gained popularity in the fight against the addiction. Washington: A new study has revealed that using technology to quit smoking can be a lot easier. Researchers at the Case Western Reserve University have developed a new system that senses smoking movements, sends motivational text messages and videos to help users quit smoking. They used wearable sensor technology to develop an automatic alert system to help people quit smoking. From nicotine gum to hypnosis, there was no shortage of products or programs to help people stop smoking. More recently, wearable technology has gained popularity in the fight against the addiction. The researchers said most previous studies have relied on smokers self-reporting how often they smoked, while the new system more accurately tracked smoking activity based on the sensors. "We've been able to differentiate between a single motion, which could be confused with eating or drinking, and a sequence of motions more clearly linked to the act of smoking a cigarette. The field of tobacco control has really adopted mobile technologies because many people won't come in for therapy," said Ming-Chun Huang, a researcher. 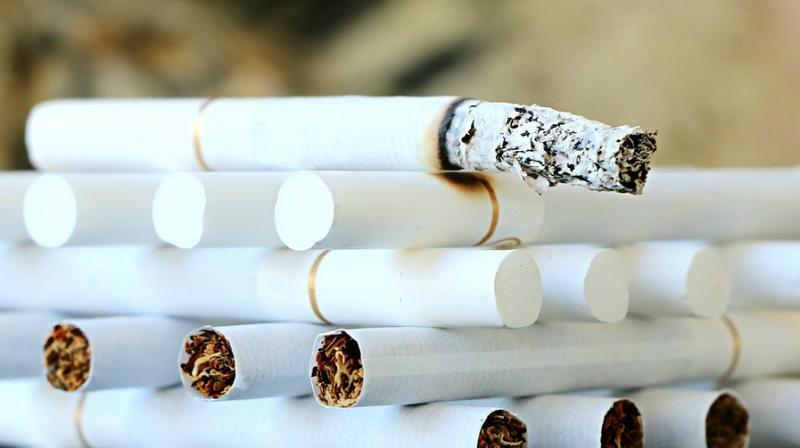 Tobacco smoking is responsible for a large number of deaths. Smoking exposes you to more than 7,000 chemicals, including carbon monoxide, hydrogen cyanide and nitrogen oxides. Tobacco is the toughest of all addictions to overcome and cigarettes are one of the easiest drugs to become addicted to, all it takes is three cigarettes for some people. And, neurologically, it's harder to quit because we have more nicotine receptors in the brain. The findings appeared in the Journal of Smart Health.